Here's a cute 2 bedroom 1 bath house that has been fixed up for you. If you're just starting out or if your downsizing come see this place. The kitchen is equipped and ready to go. The laundry room is too. All you have to do is move in, this place is ready. If you're paying rent this is a house you can own for less than your rent. Check it out. 2519 S 15th Street (MLS #2146175) is a single family home located in St Joseph, MO. 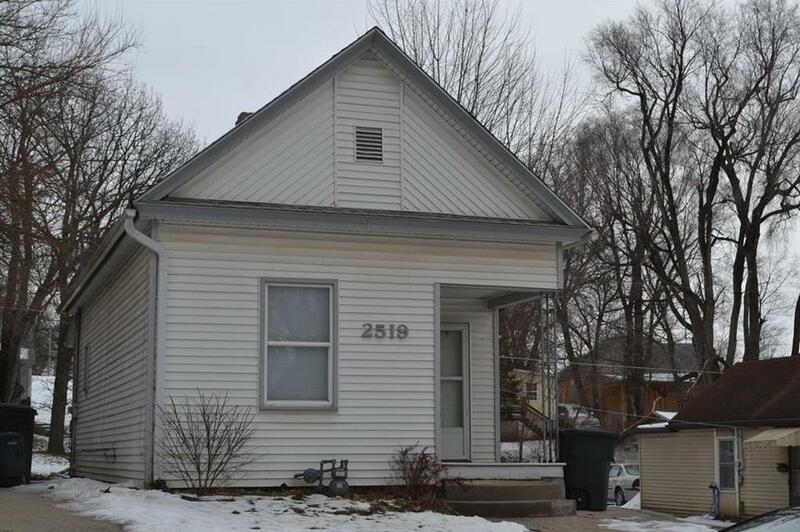 This single family home is 1,610 sqft and on a lot of 3,049 sqft (or 0.07 acres) with 2 bedrooms, 1 baths and is 102 years old. This property was listed on 01/30/2019 and has been priced for sale at $44,900. Nearby zip codes are 64501, 64504, 64506, 64507 and 65403. This property neighbors other cities such as Elwood and Wathena. Listing Last updated 04/04/2019 2:15 PM CDT . Some properties which appear for sale on this web site may subsequently have sold or may no longer be available. Walk Score provided by Walk Score. Mapping data provided by Google and Bing.